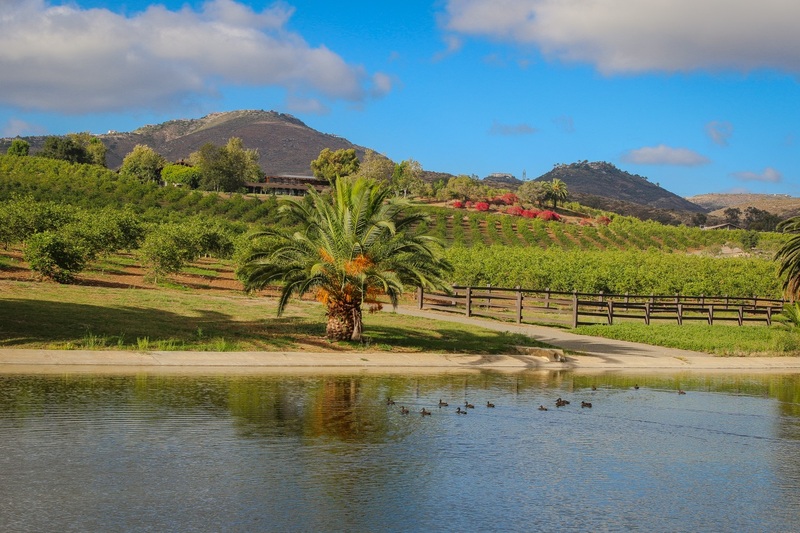 The property embraces acres of producing Valencia orange groves and includes a lake, guest house, tennis court, and equestrian facilities. 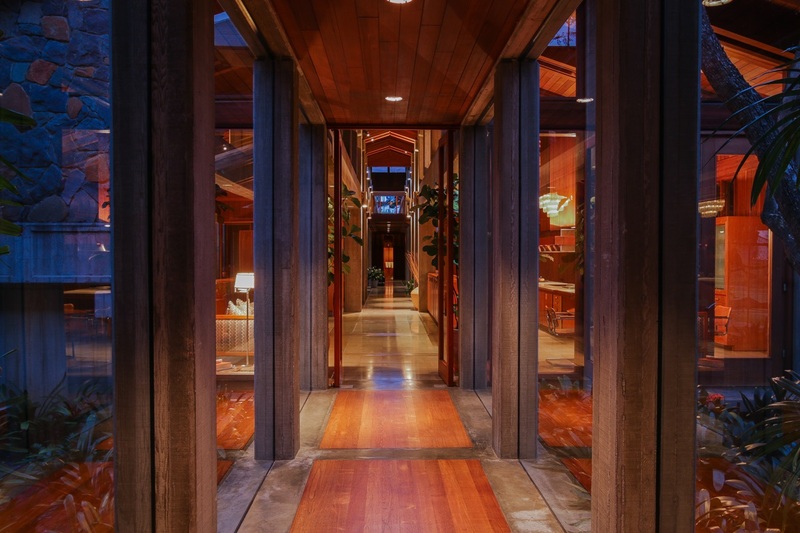 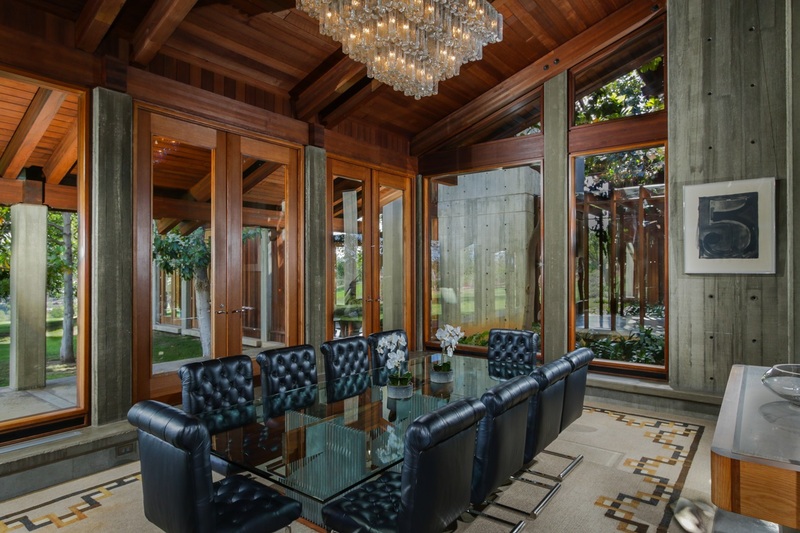 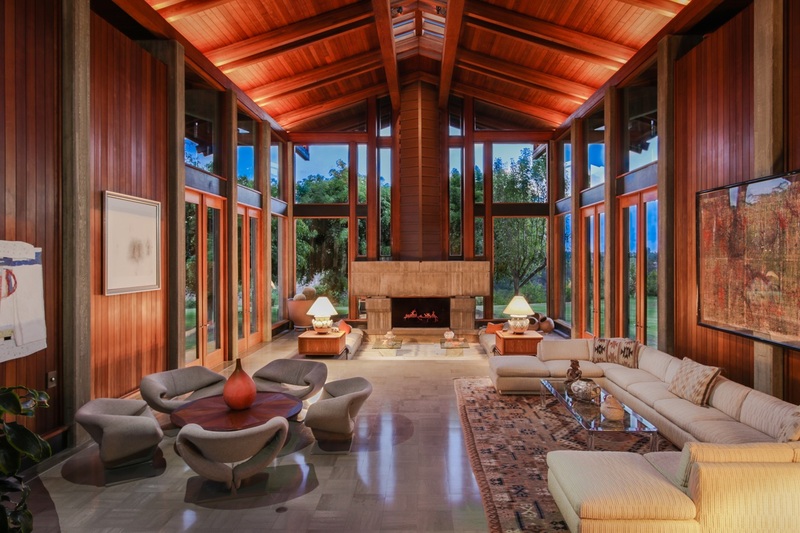 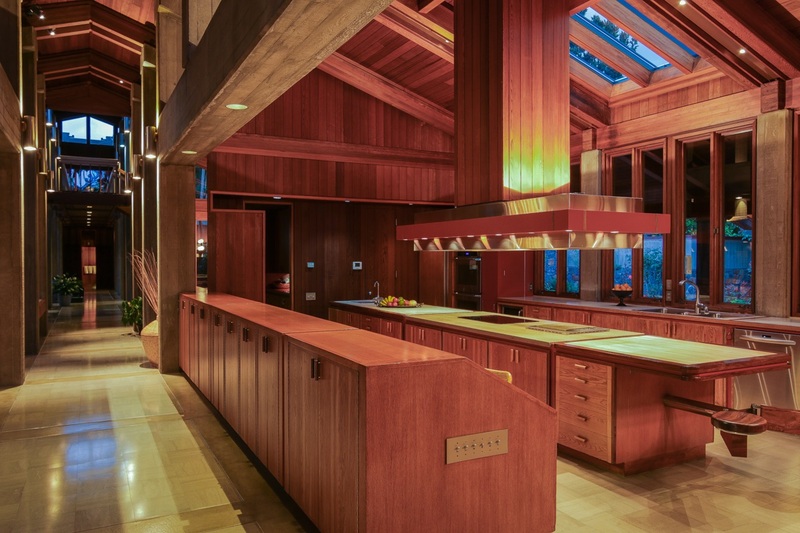 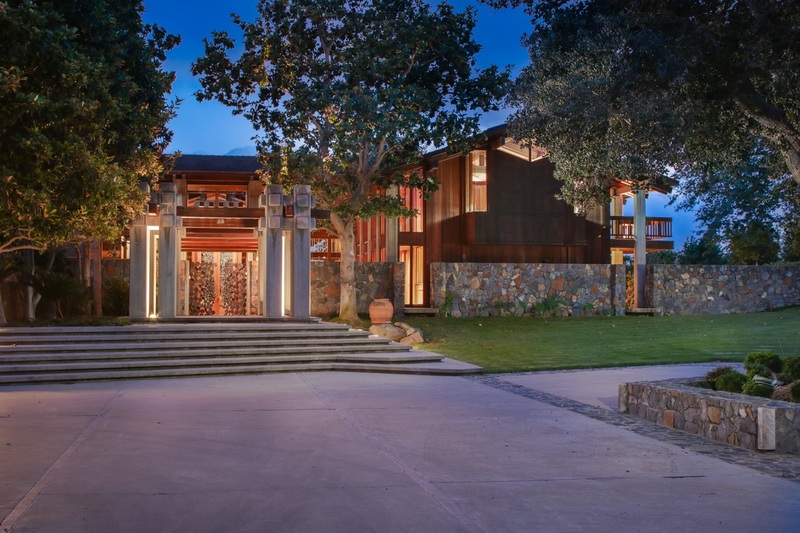 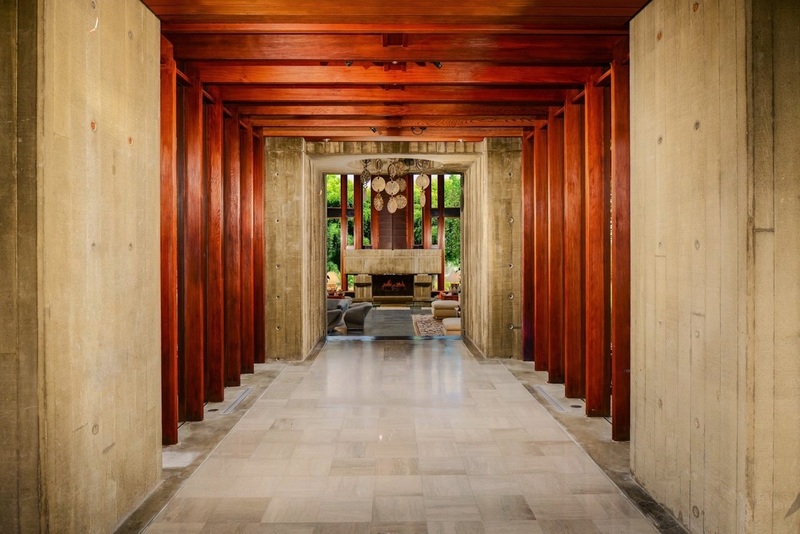 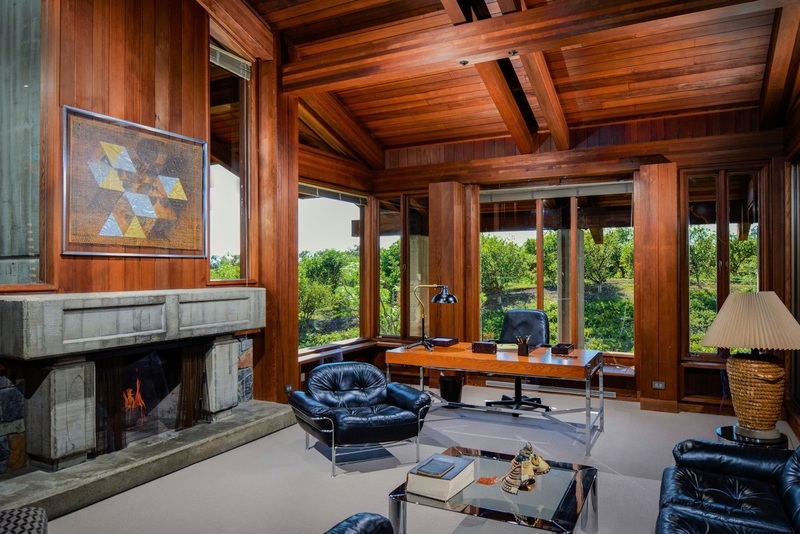 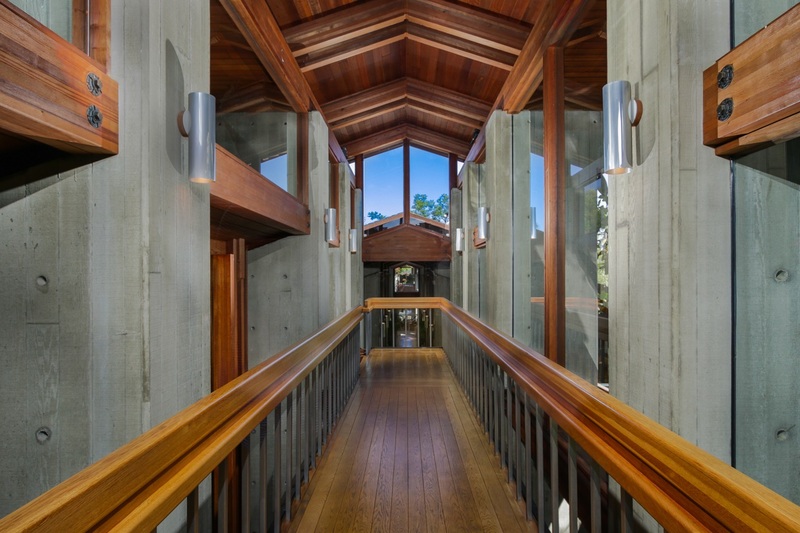 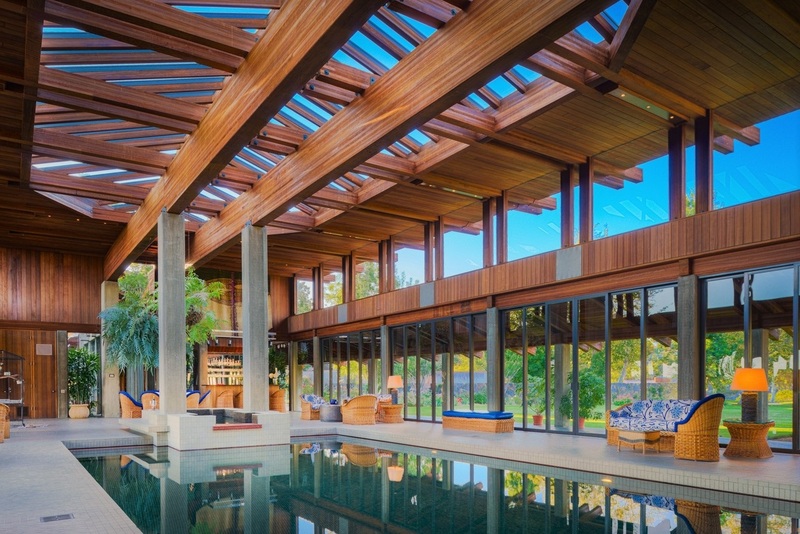 Noted architect Fred Briggs crafted the prominent home, which is distinguished by soaring, vaulted ceilings, with walls and beams of redwood that was milled on the property; radiant-heated marble floors; and glass skylights and windows. 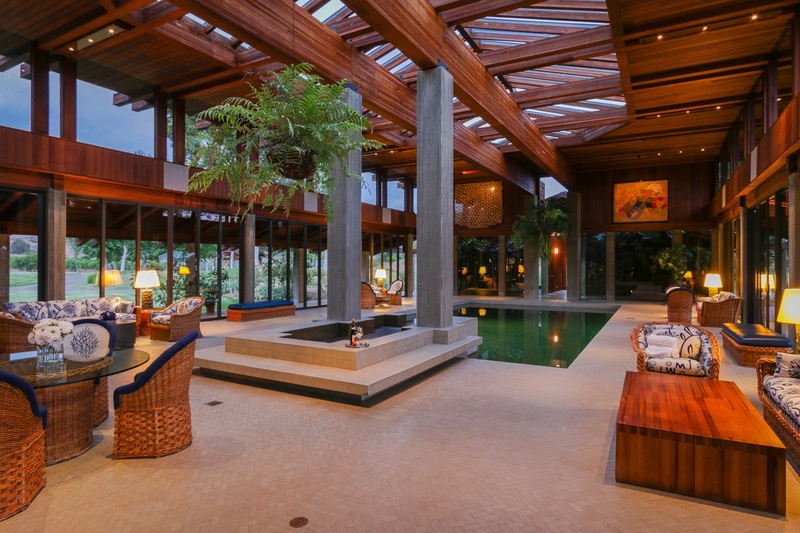 An entire wing of the house has been dedicated to a magnificent indoor pool and spa (an additional 3,936 square feet), while the master suite occupies a private second level. 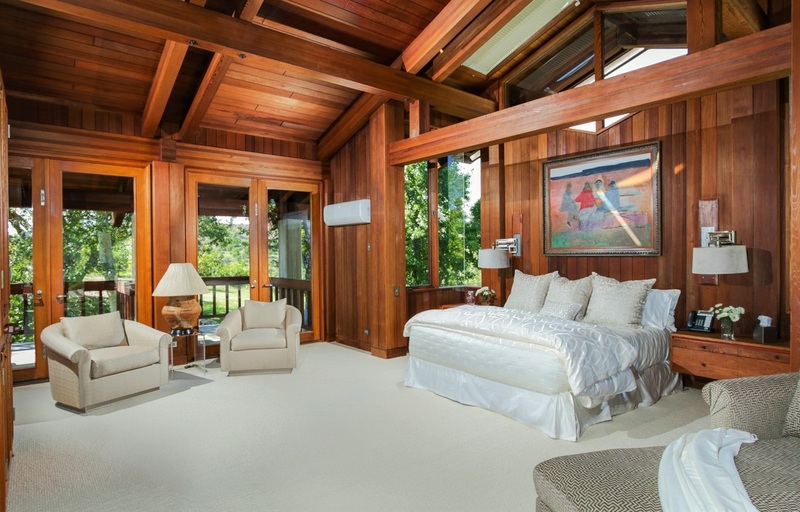 Three en suite bedrooms are located on a separate first-floor wing. 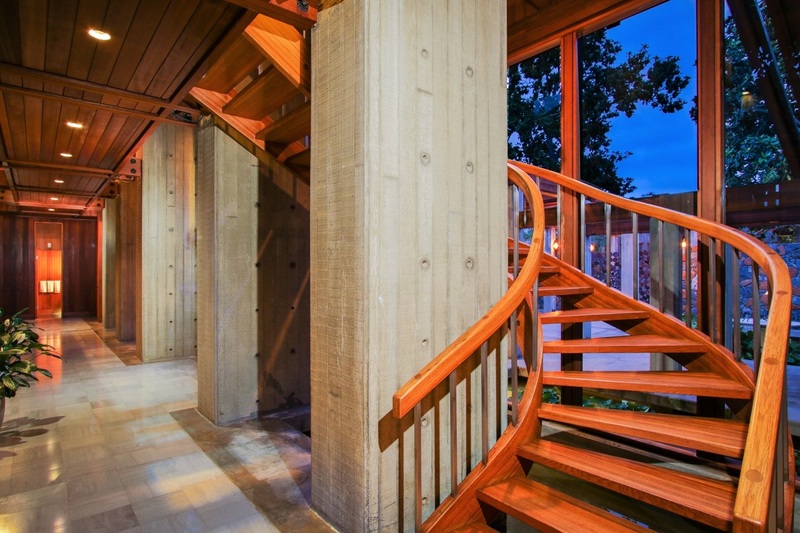 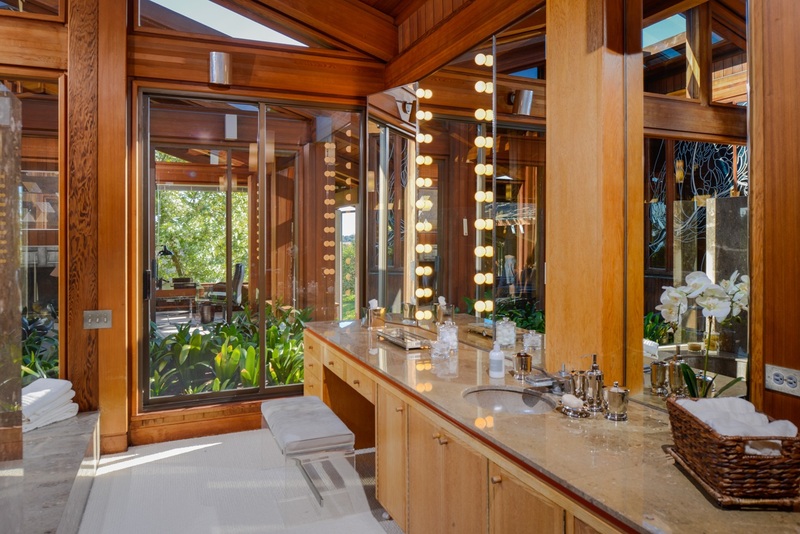 The home’s interiors were created by celebrated designer Arthur Elrod. 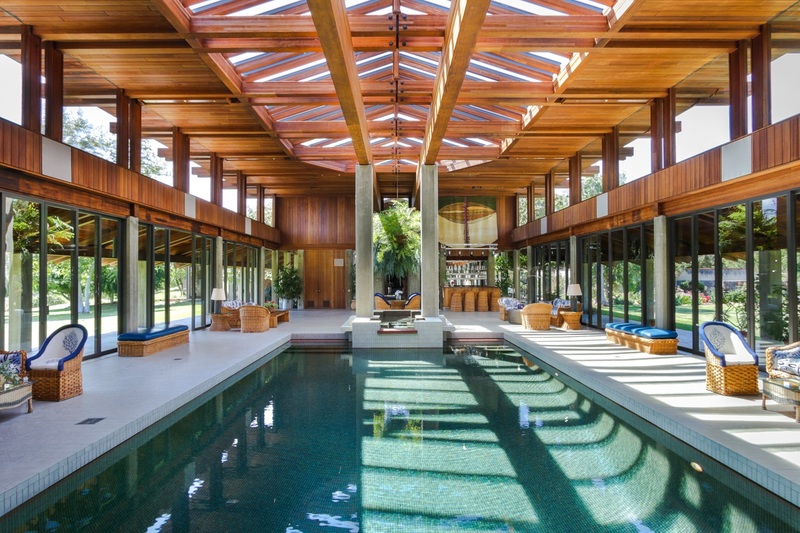 Completed in 1972, the main residence took more than three years to construct. 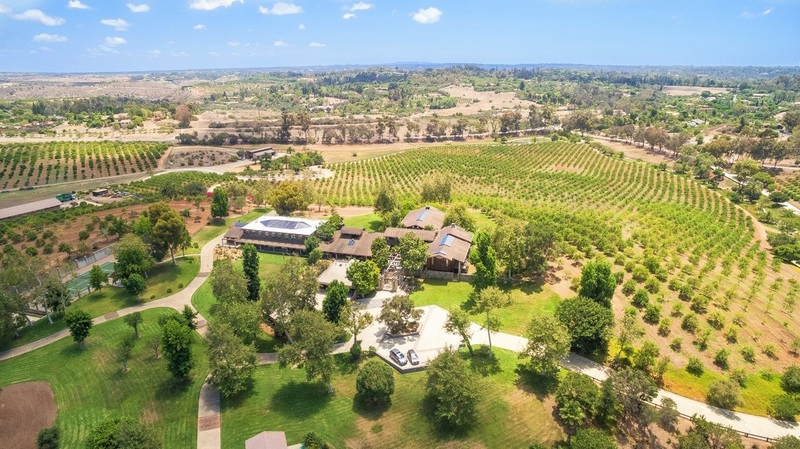 Approached via a very long driveway surrounded by mature landscaping and a brook, the home is far removed from the main road. 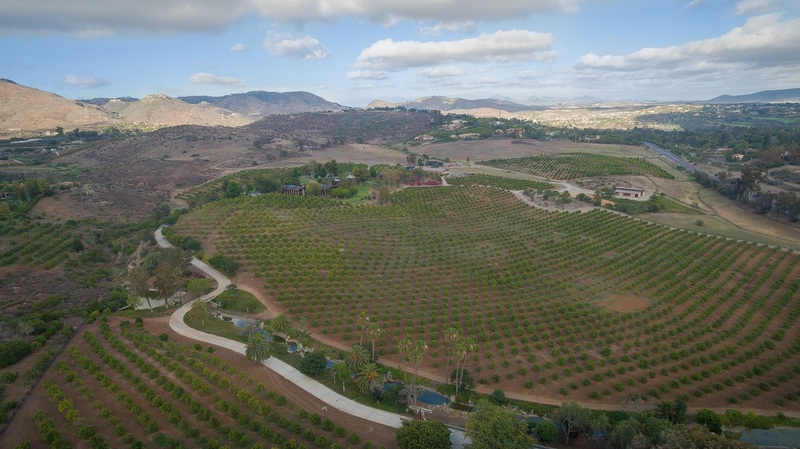 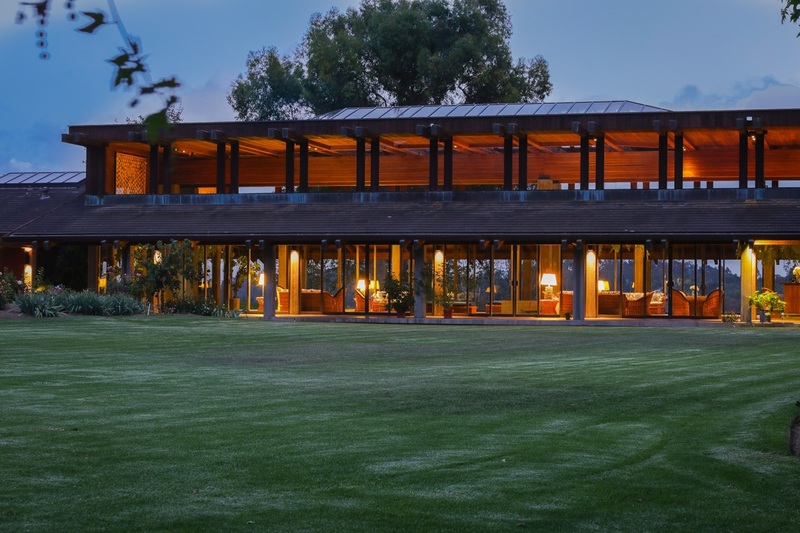 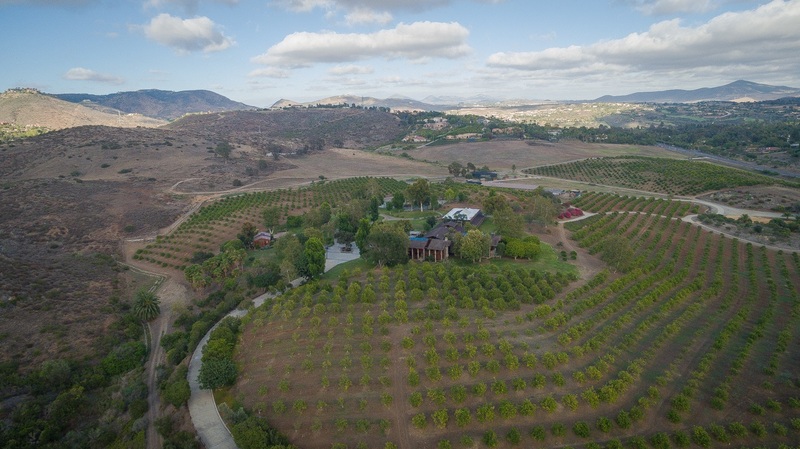 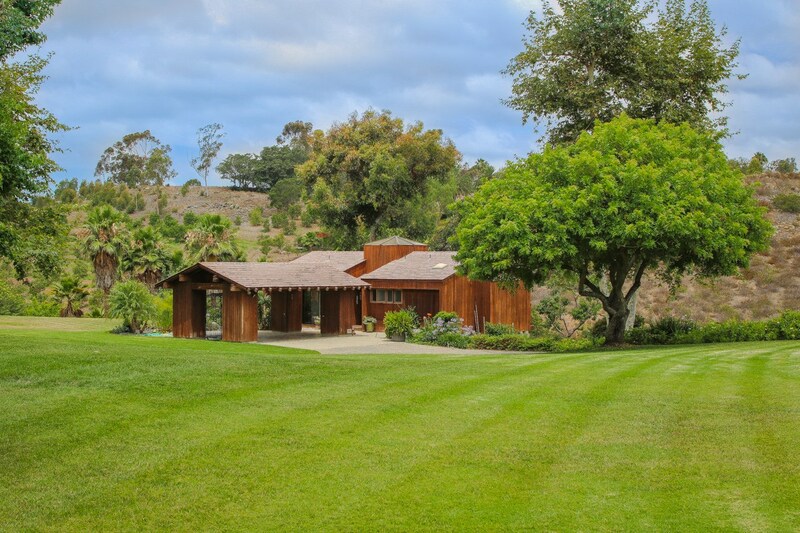 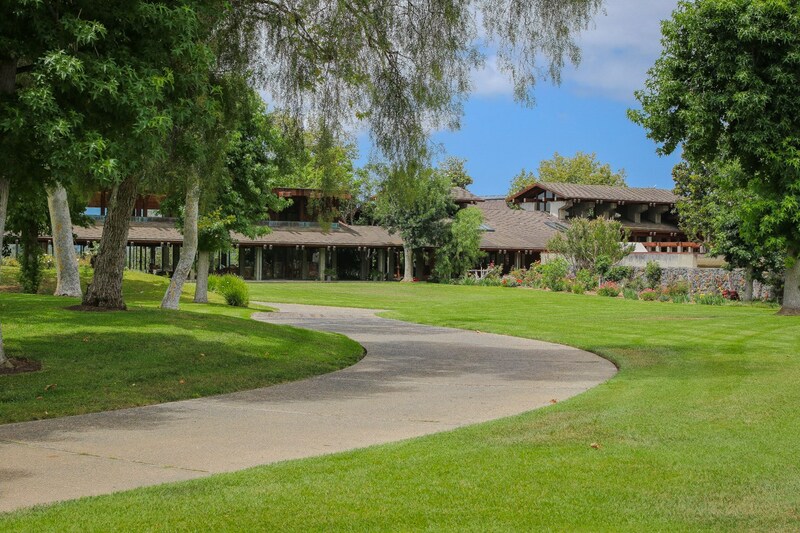 Situated in the prized section of Rancho Santa Fe, the estate is one of the largest offerings available in the area. 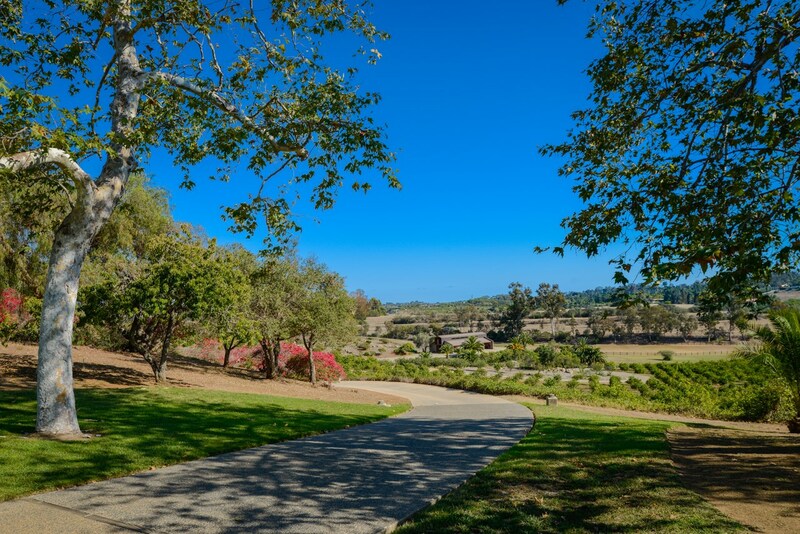 Long considered one of California’s most exclusive residential enclaves, Rancho Santa Fe has consistently ranked on a short list of highest-income communities in the United States. 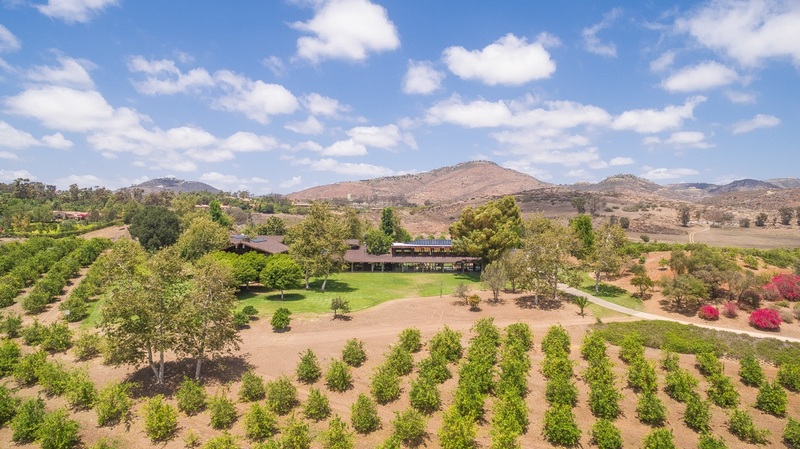 It is also known for its top-ranking schools, its exclusive golf course, and proximity to Del Mar Race Track and Pacific Ocean beaches, which are among the finest in the country. 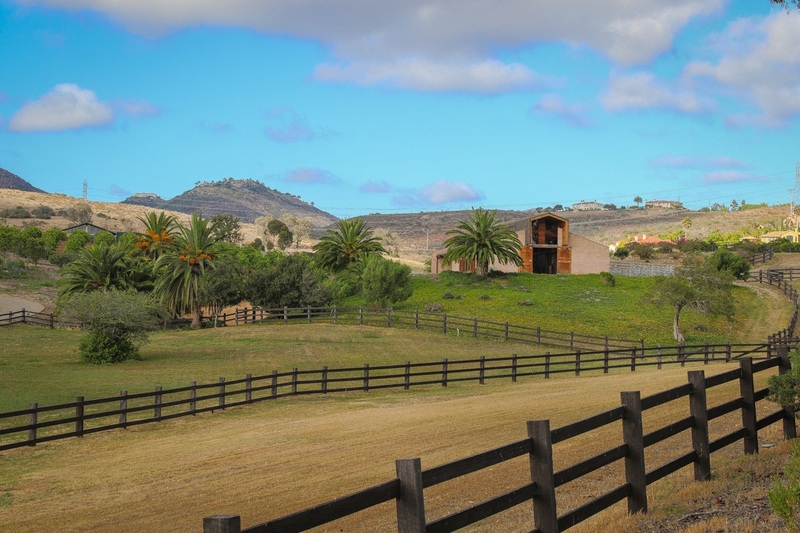 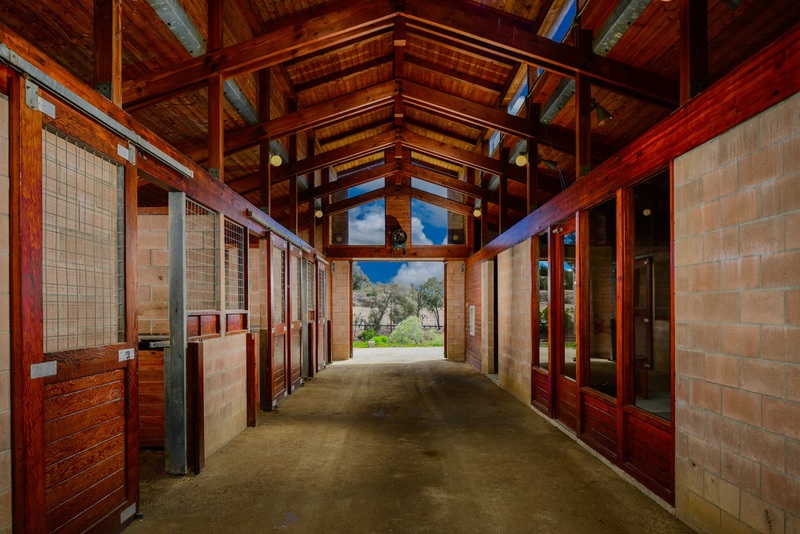 Rancho Santa Fe is a hub for equestrians and golfers, and less than 20 minutes to La Jolla and 30 minutes to downtown San Diego.